In honor of #InternationalDayOfTheGirl, I decided to write a letter to my younger self. I know you feel alone and like no one understands you. I know you feel overlooked because you’re constantly labeled as “too shy” or “too quiet.” Know that I see you. God sees you. And soon—the world will see you. Know that you are special and no one can blow out the fire that’s within you. It may seem as if everyone is accomplishing things before you, easily making friends, or finally finding their place in life. Keep running YOUR own race through it all, girl. No rose ever blooms before its time. God is arranging people, places, and opportunities in your favor. You just have to BELIEVE. I’ll be cheering you on every step of the way. I can’t wait for you to see all that is already yours. With the work we're doing with "I Am Unique!,” we’ve noticed a need in the marketplace to create stories with representative characters that showcase their strengths and struggles. There’s something about being able to see yourself reflected in the content you consume – especially when you’re a child and your mind and worldview are being shaped every second of the day. If our stories are not told, then we assume the experience is not relevant to others and we begin to feel we are alone in the struggle. I’ve come to realize that we are never alone - we just need more representation in children’s literature (and beyond). Here are 3 reasons why. We met the lovely Ravelle Worthington at Moms in Color earlier this month. She is the founder of Mommy Brain, your go-to place for kid-friendly listings, reviews, and a community of parents. When she asked Jennifer to guest blog on her site, she couldn't resist! 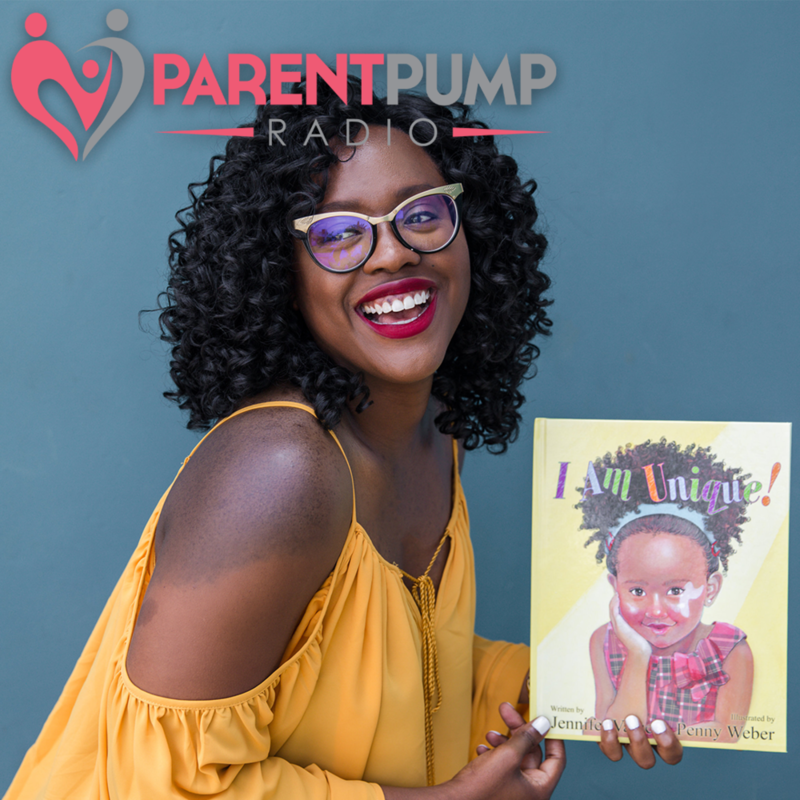 Jennifer shares what inspired her to write "I Am Unique!" and three ways you can encourage your child to love themselves. Click here to read the article! We're Featured in Black Enterprise! Our founder sat down with Black Enterprise to share how she turned her insecurity into international impact. Catch the full story here! You all had some inspiring and thoughtful things to say. We took the submissions and compiled your responses into a 15-minute audio. You can download it here. When we were in the process of gathering submissions, I asked a couple friends if they’d be interested in participating. The responses were mixed. Some said, “Sure!” without hesitation, while others committed, only to later tell me they couldn’t come up with anything to say. That got me thinking. How much time do we actually spend learning about ourselves and discovering our unique contributions to this world? We all have something about us that is non-replicable. I realized what I thought was a simple 4-word question actually requires more time to develop. We need to get to know ourselves and because most of us don’t take the time to do so, we take the easier approach and say, “there’s nothing unique about me” or “I don’t know what I’m good at.” What I know for sure is that this question requires TIME exploring and discovering who you are at your core. It wasn’t until my mid-20s that I picked up Rick Warren’s “Purpose Driven Life” and dedicated time to really get to know myself and the reason I was placed on this Earth. If someone has asked you what you’re good at, what your passions are, or what your gifts are and you were stumped, I’ve listed some ways to identify what it is about you that makes you unique. What do I love to do? / What are my hobbies? What areas of my life, school, work, etc. come easy to me that most people find to be a struggle? How would my closest friends and family members describe me using 5 adjectives (ask them)? What do people compliment me on frequently? Identifying your unique ability takes time with yourself. What better person to know you than YOU? It is in your uniqueness that makes you stand out. What are some other ways you could identify your unique gifts? Share them below.